Youth Development Newsletter: sign up to receive youth sailing news! Competitors must have reached their 13th birthday but not their 19th in calendar year, and be eligible to compete per the Notice of Race. 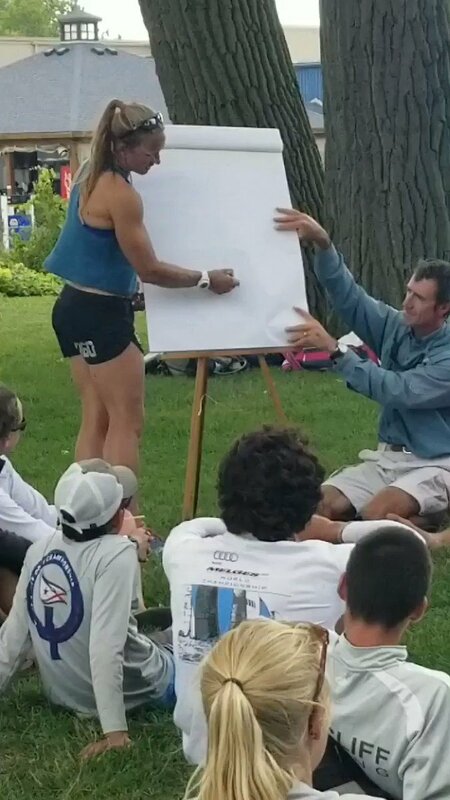 At the National Championship, sailors race in boats provided by US Sailing and the host at the event site to ensure the quality of the equipment and a level playing field. 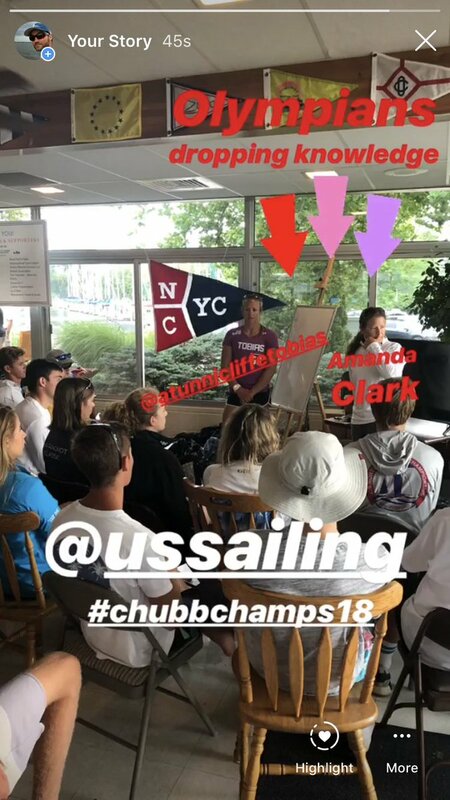 Coaching is provided for all competitors by US Sailing’s Youth National Coach and team of Level 3 Certified Fleet Coaches. The Chubb U.S. 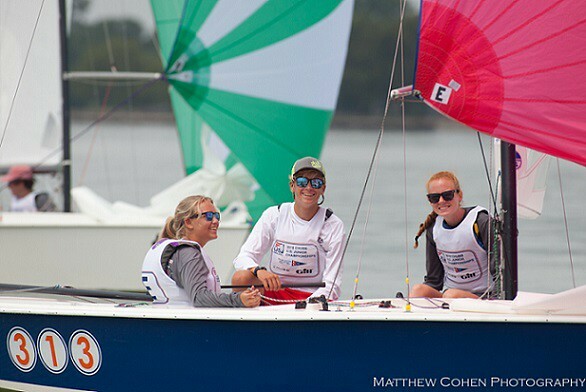 Junior Championship is U.S. Sailing’s National Championship for junior sailors, aged 13-18. The Championship is comprised of three fleets: singlehanded, doublehanded and triplehanded. The National Championship is typically held in early August, at a rotating venue, and Area Championship Qualifiers are held earlier in the year, typically in June and July. The singlehanded fleet (Smythe Trophy) is raced in Laser Radials and doublehanded (Bemis Trophy) in Club 420s. The type of boat the triplehanded fleet (Sears Trophy) is held in varies based on the availability of boats at the host club each year. The Sears fleet at the 2019 National Championship will be raced in Open 5.7s with three sailors per team. 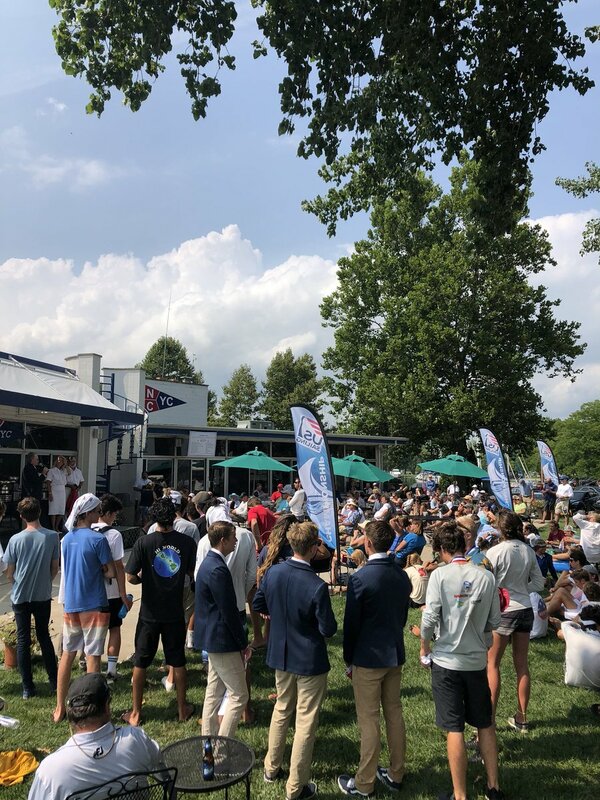 Junior sailors competing at the National Championship have qualified to represent their Area at their respective Area’s Championship Qualifier. 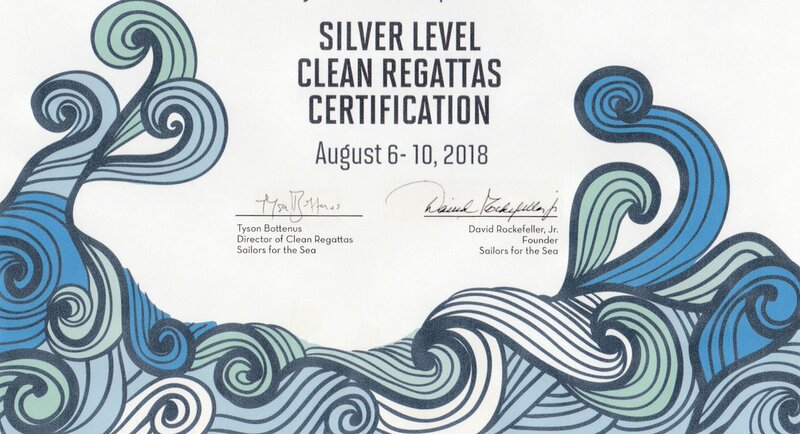 Each of the 11 Areas recognized by US Sailing send two teams to the National Championship for the single and doublehanded fleets, with the exception of Areas H and L, each of whom send one team. One team per Area qualifies to represent their region at the National Championship in the triplehanded fleet, competing for the Sears Trophy. 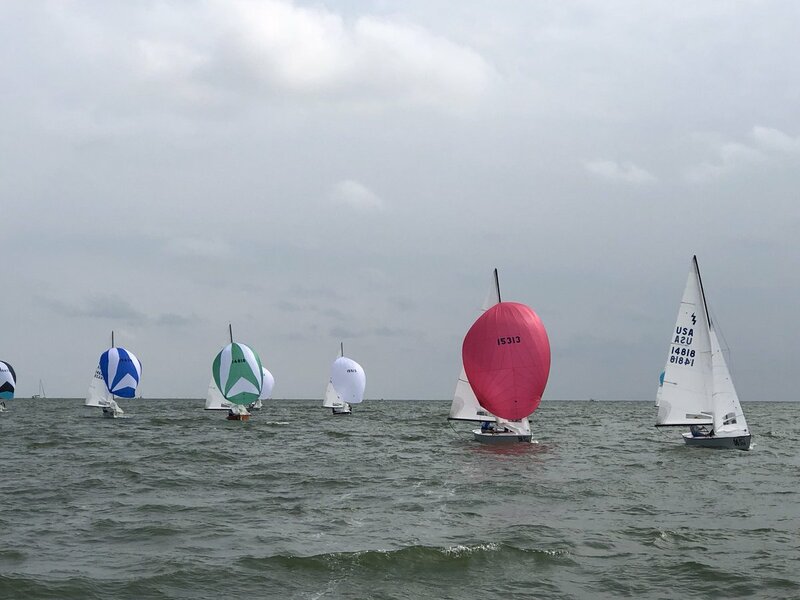 Area Championship Qualifiers are great events for Junior Sailors to compete against the best sailors in their region without having to travel too far. Be sure to check out the dates and location of your Area’s Championship Qualifier this summer and put it on your sailing schedule! Is your club interested in hosting your Area’s qualifier? Contact your Area Representative for more information. Don’t see your area’s event listed yet? Contact your Area Rep for an update! Thank you @NorthCapeYC and @ussailing for the opportunity. Congratulations Henrik Rolander from Cowan Lake amd Ian Reimel & Zoe Hoctor from North Cape and Hoover! Smythe & Bemis Sportsmanship Award winners, respectively. In 1921, Commodore Herbert M. Sears of the Eastern Yacht Club at Marblehead, MA placed in competition a Cup bearing his name for competition among juniors of Massachusetts yacht clubs. The next year eligibility broadened to include clubs such as Larchmont and Seawanhaka Corinthian on Long Island Sound and Cedarhurst on the south shore of Long Island, NY. How racing has changed since then is reflected in the fact that boys in those days were required to wear caps, neckties and jackets and girls dresses while sailing. In 1930, Commodore Sears of the Eastern Yacht Club at Marblehead, confident that NAYRU was here to stay and deeming it desirable that the competition be national in scope, deeded the trophy to NAYRU for triplehanded sailing among juniors over 12 and under 18 whose parents or guardians are members of some Yacht Club in the United States recognized by the Union. Under the deed, the Cup is “for the purpose of promoting the sport of yachting by encouraging proficiency in seamanship and sportsmanlike conduct in sail yacht racing on the part of boys and girls of school age”. By the 1950’s, NAYRU was inviting the Associations to make selections of teams to compete. Until the US Yacht Racing Union was formed in 1975, teams from Canadian Yacht Clubs also competed. Spurred by the growing number of sailors in singlehanded boats, led US Sailing to the addition in 1974 of the U.S. Junior Singlehanded championship for a trophy in honor D. Verner Smythe, a long‑time chairman of the Sears Cup Committee. The U.S. Doublehanded Championship is of similar vintage as the U.S. Junior Singlehanded. F. Gregg Bemis was best known for his work on the racing rules which included a long tenure as chairman of the Appeals Committee, but it was his leadership role in judging at junior and intercollegiate regattas that inspired a group of co-judges to donate in 1975 a trophy for doublehanded junior sailing. In 1999 the singlehanded and doublehanded divisions were expanded to include two teams per Area (groupings of Yacht Racing or District Associations) with the exception of Areas H and L, each of whom send one team.